When a family comes to us to discuss test prep options for their student, the very first thing we recommend is to take official, previously released SAT and ACT practice tests to get baseline scores. Getting a student to spend a Saturday or Sunday morning doing a test that “doesn’t even count” isn’t always easy, but it’s worth the pain and effort. Get started and sign up for a free SAT or ACT practice test here. Why take a baseline test? One of the most important functions of baseline testing is that it can tell you what test is best for your student. The content tested is similar – both cover math, reading comprehension, and the conventions of written English – but the tests themselves are quite different. One of the biggest areas of divergence is timing: students get more time per question on the SAT, but the questions themselves tend to be more complex than they are on the ACT. For a deeper comparison of the two tests, check out our SAT/ACT Comparison Guide here. The bottom line is that the tests are different enough to merit a trial run of each before you commit to prepping for either one. It’s not the end of the world if your student has to change which test he or she was planning to take; again, the test content is very similar, and a strong student could make that shift from the SAT to the ACT or vice versa without too much trouble. But why take that chance? But my student just took a PSAT. Do we really need another practice test? Most students have taken the PSAT at least once before they start thinking about the SAT or ACT. Many schools also offer the Pre-ACT. Those aren’t useless scores; they can provide valuable information, but they are no substitute for a full-length SAT or ACT practice test. As our founder Jed Applerouth says, “full scale SATs and ACTs provide the most accurate and reliable baselines.” The SAT and ACT are longer tests than their lower-level counterparts, and they feature more difficult content. It’s important to simulate the actual testing content and environment as much as possible. Baseline practice tests serve another important function: they allow your student to maximize prep by giving them a starting point. It’s crucial that students start their test prep journey with concrete goals and a starting point. A baseline test can help you make the best prep decision. 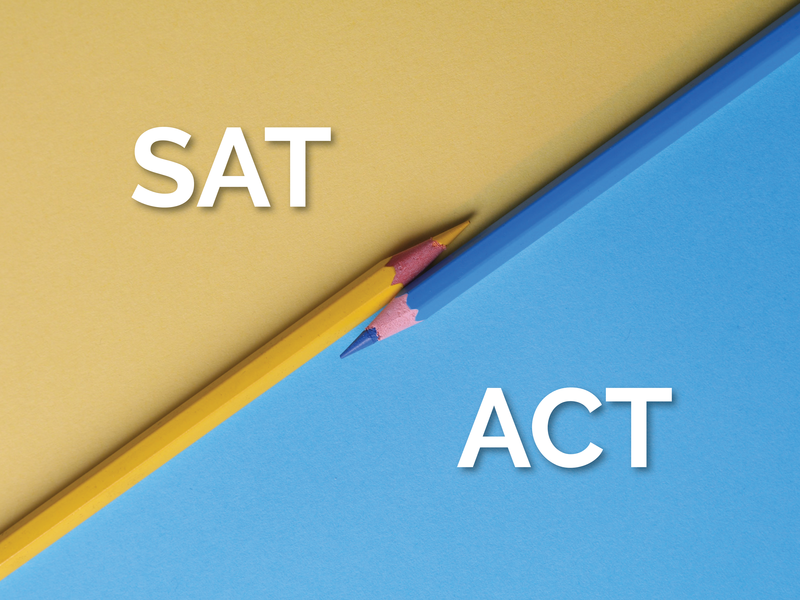 Parents often ask, “What’s a good SAT or ACT score?” And the answer is “it depends!” A “good” SAT or ACT score is one that gets them into the right school for them. Likewise, there is no one-size-fits all answer to SAT and ACT prep. If you know where your student is starting and where they hope to end up, you can choose the right prep option for your family, whether it’s self-prep, classes, or individual tutoring. If you need help or have questions with choosing the right prep plan, give us a call at 866-789-7737. We are happy to help you! Baseline practice tests can also provide specific areas to target in prep. Both the SAT and ACT cover a wide range of material, from grammar to geometry to geology (in the ACT’s case), and diving headfirst into test review and prep is not the most effective use of your student’s time and energy. Even within sections, there’s a variety of content. For example, in the math sections of both tests, students can expect to see questions from three or even four years of math classes; it’s not unusual for students to have a sturdier grasp on certain math concepts than others. A good practice test is going to tell you where your student’s strengths and weaknesses lie, and the more specific, the better. You need to know if your student has a great grasp of commas, but needs to review fractions and ratios. That level of detail is going to let your student maximize their prep time, instead of going over general information or topics they have already mastered. How can my student take a baseline practice test? There are a lot of options! You can always print out material from the SAT and ACT’s official websites, but to truly simulate the testing environment, it’s a good idea to take a proctored test, like the ones we’re offering on National Practice Test Weekend (February 2-3). You’ll get a score analysis that breaks down the types of questions your student got right and wrong, as well as detailed scores for each section. No matter how you choose to prep, a baseline score is absolutely vital to ensure a successful testing journey.